If you develop themes for WordPress, and especially if you are submitting them to the Themes Directory, you have to make sure you follow the latest theme guidelines. And there are a lot of them. Theme Check runs your theme through a series of tests and finds the places where things may be missing. 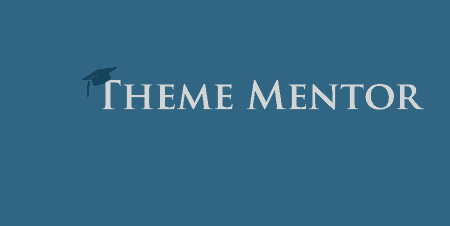 Theme Check will check your theme against the latest theme guidelines and point out any problems that might exist. 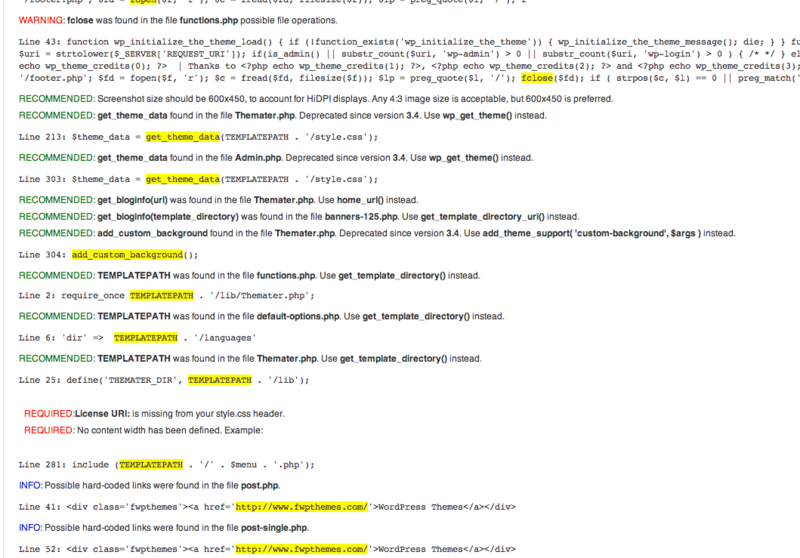 If there is a problem, it will point out where in your theme the problem exists, and what specification to check out. It uses the same tools that the theme review team uses, so if your theme passes Theme Check, you shouldn’t have a problem submitting it to the directory. Errors are grouped into categories, so you can easily tell if something is recommended, required, or absolutely essential. Theme Check is on the simpler end of the plugin spectrum. 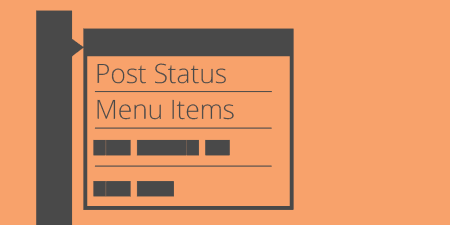 Once you activate it, there will be a new menu option in your admin panel under Appearance -> Theme Check. At the top you will see a drop-down menu listing every theme you have on your site. Next to that is a button that says “Check It!” and a checkbox labeled “Suppress INFO.” I’ll come back to this checkbox in a bit, but for now, leave it unchecked. Select the theme you want to check from the drop-down and click the Check It button. Theme Check will take anywhere from a few seconds to half a minute or so to run through your theme files and check for any errors. After that, it will display your theme information and give you a list of errors. Hopefully, you won’t have this many errors. WARNING – lines of code or functions that should absolutely not be in your theme. This includes things like base64 encoding, improperly used functions, and any code that will conflict with SVN repositories. This code should be removed from your theme. REQUIRED – items required by the Theme guidelines but are not included in your theme. For instance, you must specify a content width and make sure to have a license, readme, etc. Make sure you correct these problems. RECOMMENDED – Suggestions about features that are recommended by the Theme guidelines, but not absolutely required. 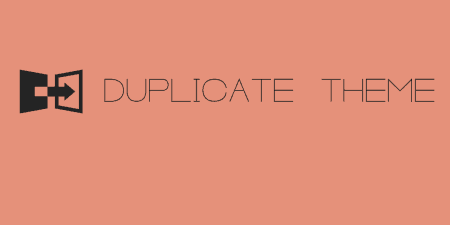 Like using older versions of functions, or not specifying custom backgrounds and headers. It is good to go through these ones by one and add whatever you can, especially if you are submitting to the Theme Directory. INFO – General problems and small red flags that may exist in your themes, such as hard-coded links or improper use of PHP/HTML. Definitely go through these and make sure that if you see a warning, it is for good reason. If you don’t want to see any warnings in the “Info” category you can turn it off by checking the “Suppress INFO” button at the top of the options panel. Go through all of the flags, and make sure that you change items marked in red, and pay attention to items marked in green and blue. When you have made your changes, run Theme Check again to make sure you didn’t miss anything. Theme Check is free to use. It’s generally updated when WordPress is, and especially when WordPress updates its Theme Guidelines. If you spot a problem with it, head over to the support forums to report it.